Another nice little simple card today. 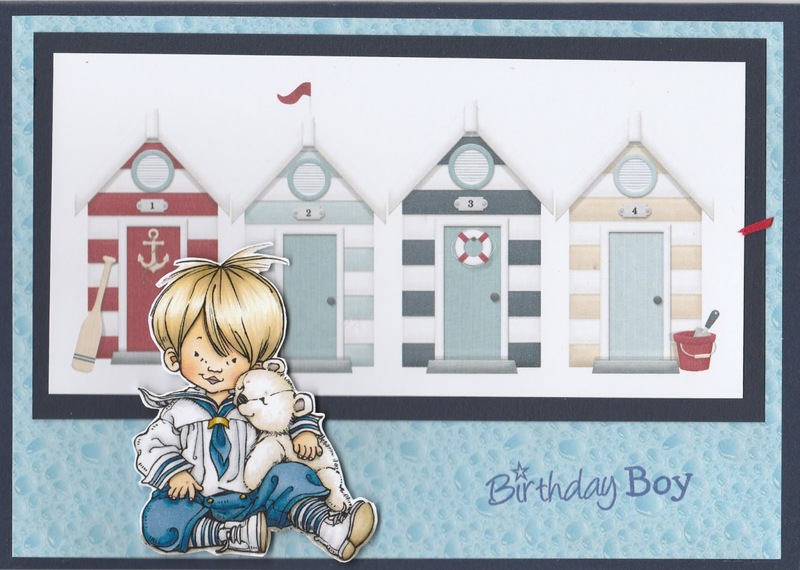 The little boy works perfectly with your beach huts, and your card has a lovely olde world feel about it. Thanks for sharing with us at Fab n Funky this week. Beautiful card Christine. Thank you for joining us at A Gem of a Challenge. so sweet, I feel all summery on my rainy day now!! Gosh how cute is he????? and you have created the perfect scene too! Thank you for stopping by my blog, please leave me a comment to let me know you have been and I can come visit you. Hi, I'm Christine and I live in creative chaos. I have loved to create things all my life but my best creations are my three wonderful sons, Shaun, Nick & Sam. Thank you for visiting my blog, please leave your comments so I can come and visit you too. Hugs. 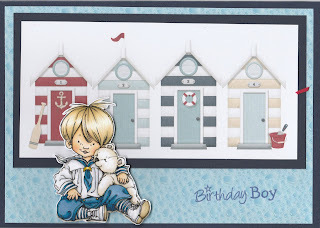 All of the cards, photos and other craft items on my blog are for your inspiration only. You can copy any of them for your own personal use but please do not use them for entry to any magazines, books, competitions or challenges. Thank you. Have A Holly Jolly Hic!